The Planck collaboration releases the results and data from the full mission including polarisation. 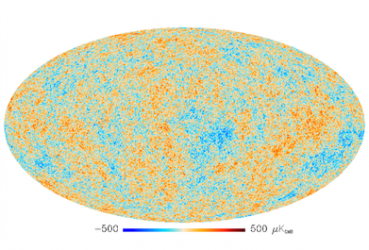 The Planck space mission has fulilled its initial goal of extracting essentially all the cosmological information in the temperature map of the Cosmic Microwave Background. It has also detected the polarisation with unprecedented sensitivity over the whole sky. The results of the Planck collaboration papers to appear soon will be presented. They bring a determination of the cosmological parameters independent from the intensity data. They also bring results relevant for the physics of the primodial universe as well as particle physics. The polarised foreground emission from interstellar dust has been mapped with a spectacular accuracy. It shows that the claim for detection of primordial gravity waves from the BICEP2 team using CMB data aquired at south pole was premature as the signal is dominated by tye dust B modes signal. Jean-Loup Puget is the director of the Institut d’Astrophysique Spatiale in Orsay. He is mission Scientist of the Infrared Space Observatory, European Space Agency and the principal investigator of the Planck HFI instrument. He is member of many working groups, including the Astronomy Working Group (ESA), Space Science Advisory Committee (ESA), Comité Français des Grands Télescopes, President of the Scientific and Technical Committee (European Southern Observatory), and Délégué pour les Science de l’Univers de l’Académie des Sciences. He obtained many distinctions including the Silver Medal of CNRS, and the Prix des Trois Physiciens de l’Ecole Normale Supérieure de Paris.